I,,, actually you also hate dandruff. No one wants that their shoulders are bombarded with those white flakes and ruin their overall look. In addition, dandruff comes with itching sensation that definitely something you don't want. Right??? 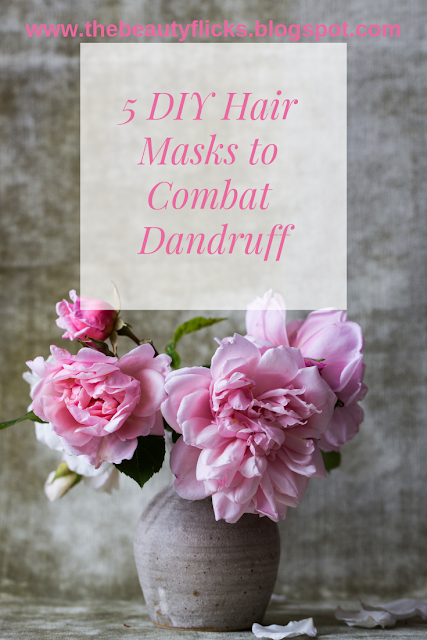 If you are suffering from dandruff then this is the time to get rid of it because I have found some best DIY solutions to treat dandruff and the ingredients are lying in the kitchen. But, before jumping into those, let me tell you what is dandruff and what are the common causes of it? 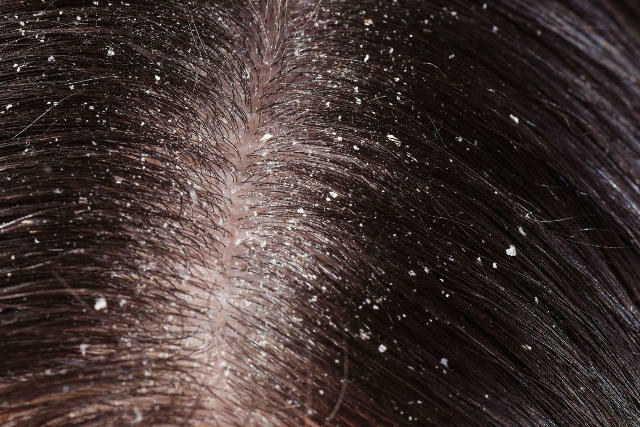 Dandruff is a chronic and harmless condition. Dandruff is dead skin cells that are produced by our body in the form of white flakes. Skin cells are regularly formed and shredded by our body and that is the normal procedure. But with dandruff, dead skin cells are shredded at a very fast rate and it is disgusting most of the time. Extract white and yellow part from the eggshell and whisk it properly to mix the egg white and yolk. Apply this mixture on your scalp for about 30 minutes and then wash it off with normal water. After that, you can apply any mild shampoo of your choice on your hair. Egg yolk is highly enriched with Vitamins like vitamin A & E, Iron, and biotin. It helps to moisturize the hair from root to end. On the other hand, egg white has high contents of protein and minerals, so it speeds up the hair growth. First, you have to heat the coconut oil lightly. Then, add 1 tbs of lemon juice in this lukewarm oil and mix well. Now, apply it on your scalp and all over the hair length. Keep it for a minimum of one hour. Use lukewarm water to wash your hair. Coconut oil is supplemented with vitamin A, E, iron and fatty acids. It stimulates hair growth, promotes scalp health and fights against dandruff and lice problems. This oil moisturizes the dry hair, gives shine to hair and makes them soft. It also helps to get rid of hair loss. On the other hand, lemon is a rich source of vitamin C and makes the hair long and strong. It is acidic in nature, so cleanse the scalp from skin dead cells and environmental deposits. Lemon also has anti-fungal properties to fight with dandruff and other scalp infections. This one is my most favourite hair mask. Mix all these 3 ingredients properly and apply it on all over the hair including the scalp. Keep it for 60 minutes on the hair and then clean the hair with lukewarm water. Yoghurt is full of protein and makes the hair strong & healthy. It acts as a natural conditioner and gives moisture to the hair. Yoghurt also eliminates the problem of split ends. It contains lactic acid which is great for cleansing the scalp and clearing away the dead skin cells. Mix olive oil and neem powder and apply this hair mask on your scalp. Keep it on the hair for about 30 to 45 minutes and then wash it off with warm water. Neem has antifungal, antibacterial properties that help to remove dandruff from the scalp. Olive oil is enriched with antioxidants that keep the scalp healthy. Olive oil is supplemented with vitamins such as vitamin A & E and other nutrients that fight against the bad impact of hair & styling products. It's antibacterial and antifungal properties combat with dandruff. Apply aloe vera to the scalp and massage for few minutes. Don't forget to apply it on the hair ends. Keep it for one to two hours and then wash your hair with chemical free shampoo. Aloe vera includes proteolytic enzymes which repair dead skin cells on the scalp. It also has the microbial properties that kill the skin fungus. Aloe vera gives moisture to the hair and eliminates the problem of split ends. It makes the hair healthy, soft & smooth. Try to keep your scalp clean. Don't use too many hair products. Don't use conditioner on your scalp if you have oily hair. Taking care of bedding and pillow also helps to reduce the dandruff problem. Keep your bed and pillow clean. Don't wash your hair too often. If you are using any other homemade remedy to combat the dandruff problem then tell me in the comment section. I hope you like this post. If you do so, then hit that like button. I need to share these recipes with my son. He tends to get those white flakes. I do get little bit of dandruff during winter season because it is dry. And I love making facial masks but never made any DIY hair masks. I got to try these! Yes you should try these... These are magical for hair. I'll try these out for sure. I hate when I get a lot of dandruff. It can be so embarrassing. These are great. My daughter suffers from dandruff and she would love to try these out. I actually encounter problems with dandruff when I travel a lot. It may be brought by the change of temperatures (ie. going in out establishments or airports). Good to know my aloe gel could be a solution to it. Yes,,, and aloe vera gel also makes the hair smooth & soft. Thanks for reading...I always avoid to use too many products from the market... These home made remedies are worth trying. I have tried neem oil mask before. And that worked nicely. i would like to try the neem and olive oil remedy. Thanks for sharing. These are great alternatives for dandruff management!! I always wanted to try a hair mask, but the pricey ones that are being bought in malls are what hinder me to get one for myself. Thanks for shsring these alternatives! Might try the yogyrt, coconut, and lemon mask! I have never attempted to make my own hair mask but that's such a great idea! and the recipes look so easy! Coconut milk helps a lot. My Mother taught me that trick and the use of vinegar to get rid of dandruff. And also changing your haircare products using alternately. I also tried vinegar but did not try coconut milk yet...I will give it a try too. Thanks for letting me know. I also tried camphor one time but it makes my hair super dry. so, I did not dare to try it again. Great post and so helpful. I would have never thought to make my own hair mask. My hair is really think and very long and sometimes needs some extra love! These are great alternatives. I would always try the natural remedies first, like these if I experience it. Lucky that I haven't yet. I used to suffer from dandruff and I really hated it. But I used an avocado+lemon+onion hair mask and it worked wonders for me! Dandruff is a common problem about everyone has to face, such a great solution for those people who face this problem. My husband has dandruff (shh) lol. I will share this with him! Thanks! I dont really suffer from dandruff but i would do the aloe vera gel since it helps with the split ends! The remedy are always around us but we don't know they are so effective. Thanks for sharing this. I hate dandruff! so itchy and uncomfortable. I should try to do this one! great post sweetie! My hair dresser also recommends good old Head and Shoulders once a week. I have used yogurt mask on my head and had good result. I never had or do have dandruff issues but yes it is great to learn and know if it happens in case then what to do. One thing that makes me really hate dandruff is the fact that I couldn't wear black clothes. I am using anti-dandruff shampoo which has a short term effect. I've got to try these. Thank you for sharing. Darn, I was once plagued by dandruff. Then I found out that I was allergic to my hair care product. I hate dandruff luckily i dont have. Thank you for this wonderfu and useful tips. Thank you for sharing. great post! something i am definitely going to try.